These are the latest published photos from the most recent Korean media articles on Switch. 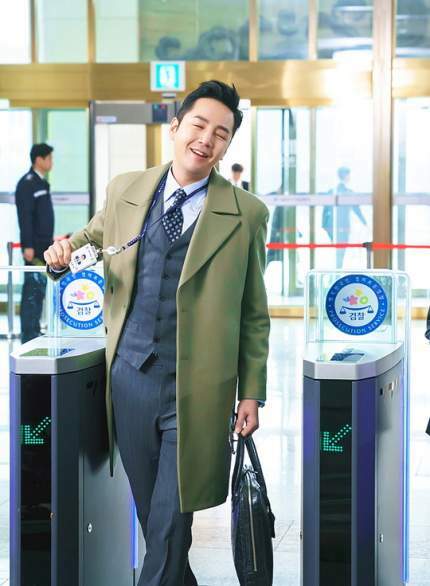 The latest article touches on JKS' Sa Do Chan character: infinitely positive in nature; his happy - almost dancing - steps as he enters the Public Prosecutor's Office; his "innate temperament inherited from his father," a man "who can not live a day without jesting." 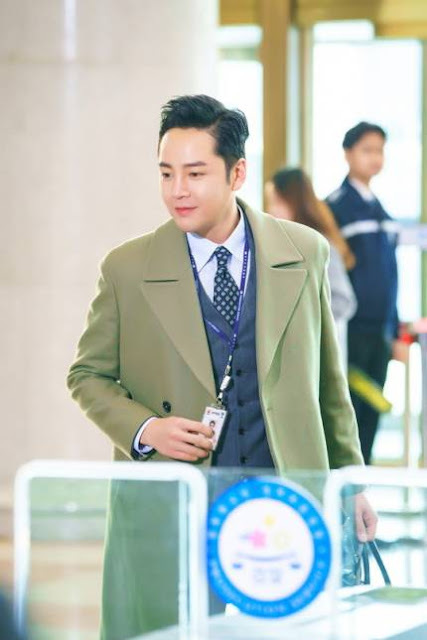 "In particular, Jang Geun Suk is not only a fashioniste but also chooses a fashion style of Sado Chan by himself, and studies all facial expressions, gestures, As Jang Geun Suk expresses his affection for Sado Chan who is a playful and attractive genius, he is expecting the birth of 'Sado Chan of Maseong' who will capture viewers." 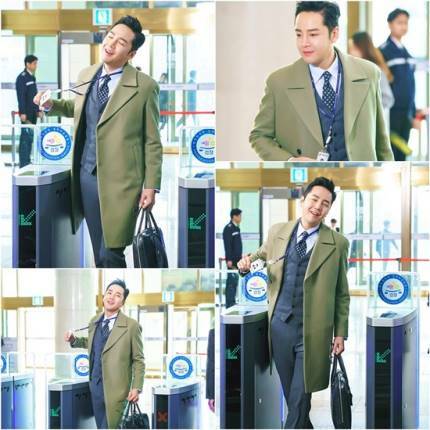 "The production team said, "Jang Geun Suk is the best person in Sado Chan, who is able to freely cross the boundary between the scammer and the prosecutor and expresses a cheerful and cheerful feeling." Throughout the filming, the field staffs are falling in love with Sado Chan's charm." Switch promises to be a thoroughly entertaining comedy but still with lots of thrilling good guy vs bad guy scenes.